Our Campaigning Workshop is about a little theory and a lot of practice of Campaigning. We are addressing people who have already made their first experiences in the campaign or public relations work of a non-profit organisation. If you want to deepen your knowledge and get new ideas and suggestions, you are in the right place. Together we follow the path of strategy development. With our actions and events we provoke reactions from our political counterparts which we in turn answer. Skilfully planned, we operate our agenda setting. We implement our storytelling creatively and win new supporters. Like international non-governmental organisations (NGOs), we place our message in the 24-hour news cycle. Successful campaigns move people with whose support we want to make the world a better place. Communication strategy: Identify target groups, find your narrative and appropriate messages, tell the story, create images and sharpen your profile. Politics: A lobbying plan with strategic partnerships and opponents. Classic tools: Make optimal use of your campaign elements such as actions, events, research and study results. Digital campaigning: Networking, mobilization and communication with Target groups precisely plan, appropriate use of social media channels and microsites. Developing good campaigns is a creative process. It is best if there is a great team with all the important functions. No angle should be missing. Together we go into the Campaigning Lab and develop the concrete campaign with you. We design the process for you and support you with suggestions and critical questions. We sound out your possibilities and work out an opportunity and risk assessment together. Based on the stakeholder mapping, we get an overview of the various interests and derive the political campaign strategy from this. Together, we define campaign goals. We test the theory of change and identify any need for research. A good campaign needs a credible story. How we tell it and which target groups are relevant for us is part of the process. This also includes which messages we can best reach these target groups with and how we can get them excited about our goal. The Campaigning Lab works best with a workshop day in a larger circle with everyone involved in the upcoming campaign. The key points are defined, a rough campaign diagram is created and initial ideas for slogans, actions and other events are collected. Ideally, this will be followed by another day in a small circle, during which the rough campaign plan from the first day will be put into concrete terms. We find the right strategy! Svenja Koch, Head of press office and web team at Oxfam Germany. Our targeted research, media monitoring and environment analyses provide you with clarity. In this way we create a further basis for your successful campaign. We explore the strengths and weaknesses of your opponents. We also correctly assess the capabilities of your organization. We find out who has which interests in your topic and how they will be represented. You get all data and facts for your theme campaign on the table and thus improve the conditions for success. We determine the campaign potential! With our topic searches, we update your knowledge on an environmental policy topic at local or international level. We conduct research on site, in libraries, on the phone and on the Internet. You will receive answers to your questions in a report. So far we have worked in the fields of marine protection, fisheries and fish market, species protection, Arctic and Antarctic, waste policy, EU trade policy and WTO as well as renewable energies. Dr. Manfred Redelfs, Team Leader Research, Greenpeace Germany. A vibrant, strong civil society is the basis of a functioning modern, democratic society. We are committed to strengthening civil society groups. We work with environmental and nature conservation organisations, development associations, trade unions, foundations, citizens' initiatives and groups, and in networks of many groups. Ingo Bokermann was a campaigner at Greenpeace for many years. He has planned and implemented projects and expeditions in campaigns, among others to end the worldwide waste trade (Basel Convention) and to illegal fishing. After training as a trainer and moderator, he has been advising non-profit organizations since 2002. For example, in the integration of campaigns into the organisational structure of Missio Aachen and Munich; through the analysis of online projects within the scope of a research project for the development of an E-Union at the service trade union ver.di; with campaign trainings at the Deutschen Welthungerhilfe in Bonn the Heinrich-Böll-Foundation. 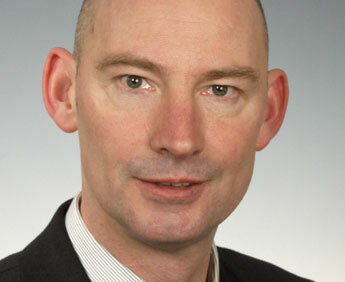 In 2010, he led the campaign "Die Schulverbesserer" ("The School Improvers") of school reform advocates for the referendum in Hamburg. The campaign was supported by all political Parties represented in the Hamburg Parliament, the trade unions, the Paritätischer Wohlfahrtsverband and many other large and small associations and initiatives. 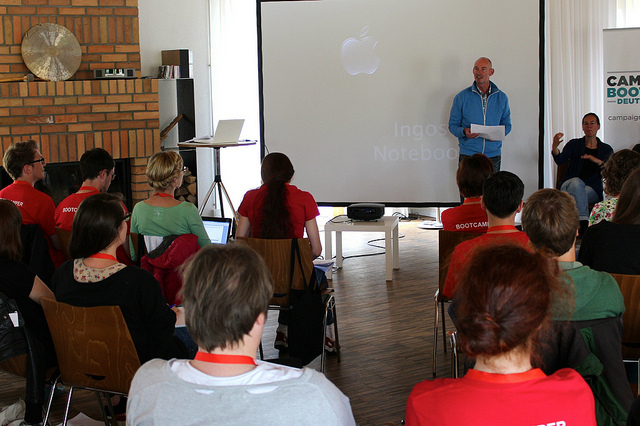 In June 2014 he conducted the module "Strategy and Tactics" at the first German Campaignboostcamp and in November 2015 he appeared as a speaker at the Fifth Symposium of the Federal Programme "Cohesion through Participation" (Zusammenhalt durch Teilhabe). In October 2016, Ingo Bokermann gave an input at the expert exchange counter speech (Gegenrede) of the Federal Programme "Demokratie leben".